Psych News Alert: What Accounts for Strong Link Between Epilepsy, Mental Illness? What Accounts for Strong Link Between Epilepsy, Mental Illness? People discharged from the hospital with diagnoses of depression, bipolar disorder, psychosis, anxiety disorders, or suicide attempts have more than twice the risk of developing epileptic seizures compared with controls, according to a new study. 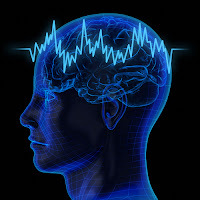 The risk of developing unprovoked epileptic seizures was highest in the two years before and two years after a first psychiatric diagnosis, wrote Cecelia Adelow, M.D., of Stockholm’s Karolinska Institutet, in the February 7 Neurology. The study reports an association but not a cause and effect. Psychiatric illness might cause seizures or vice versa, or there might be some now-unknown underlying common cause for both, an explanation Adelow and colleagues prefer at the moment. “Physicians need to be aware that patients with severe psychiatric conditions such as psychoses and depression, as well as those with previous suicide attempts, are at increased risk of developing epilepsy and vice versa,” concluded the authors. To read coverage in Psychiatric News about the purported link between epilepsy drugs and mental illness, click here.